BOC conferences are intensely researched to provide real business solutions to everyday challenges. Speakers are carefully selected according to end-user demand. Each and every conference partner is consulted with at every stage of production in order to truly create win-win partnerships. BOC Conferences provide excellent insight from facilitators and speakers who are truly hand-picked professionals from leading global brands. Conferences participants are able to enter the Brilliance Awards for FREE. Jia Gay provides organizational strategy and development to MENA, especially as it accelerates its support in driving organizational capabilities and marketplace execution. 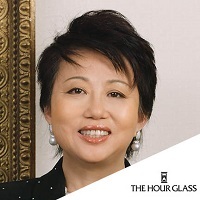 Jia is a seasoned HR executive who brings over 20 years of Human Resources experience, having previously worked as Group HR Director for the North and West Africa Division of The Coca-Cola Company based in Casablanca, Morocco. Jia joined The Coca-Cola Company in 1993 and has held various positions of increasing responsibility in Coca-Cola North America, Coca-Cola Africa and the Middle East supporting various businesses and functions. 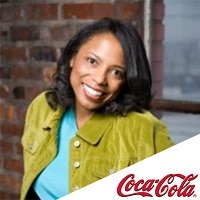 Most recently, Jia was the Group Director, Human Resources, Coca-Cola North America where she was responsible for the Sparkling Category Business Unit, Strategic Marketing, and Research and Development function. Prior to joining the Company, Jia worked with Electronic Data Systems (EDS), The Lucas Group and Federated Department Stores. Jia has a B.S. degree in retail management from the University of Alabama and a Master’s in business administration from Walden University. Rajesh heads the Human Resources function for ING Investment Management India and provides leadership oversight to Communications, Technology and Administration functions. 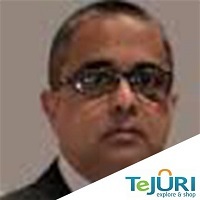 With over 18 years of intense HR leadership experience in managing matrix organizational structures, cross cultural staff and driving innovative best practices in India &amp;amp;amp; Asia Pacific region, Rajesh is known for his passion for People Engagement. Considered a change agent expert in building organizational themes &amp;amp;amp; developing new concepts, Rajesh has already catapulted ING Investment Management in the league of ‘India’s Top 50 Best places To Work’ ranked by Great Place To Work Institute (GPWI) in 2012. Under his leadership, ING has also received recognition for its Talent Management practices at Asia's Best Employer Brand Awards and also at Asia Pacific HRM Awards held in Singapore and India in 2012. 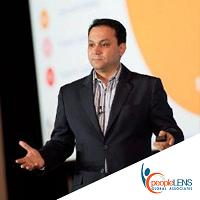 World HRD Congress has bestowed upon Rajesh with a coveted title of ‘HR Professional of the Year’ at Asia's Best Employer Brand Awards held in Singapore in July 2012. 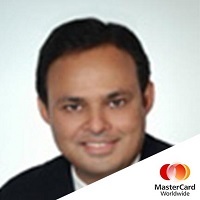 His professional journey spans across domains such as Banking and Financial Services, Informational Technology and ITES, in MNCs such as ANZ Bank, HSBC Group and CMS Computers. 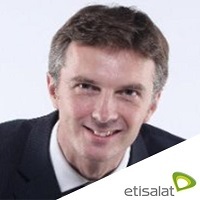 Jerome is focusing on the Governance at Group, regional and local levels and on operational performance improvement for 10 Etisalat’s international telecom operators in the Middle-East and Africa. 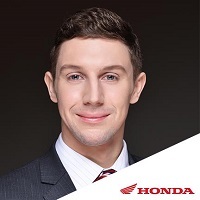 He is involved in all initiatives related to developing HR and business capabilities, evolving management models through re-organization, change programs, shared services or outsourcing plans, and M&amp;amp;A activities. 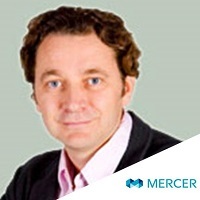 Prior to joining Etisalat, Jerome de Mallmann worked for 10 years in Management Consulting at Oliver Wyman and at Accenture in Europe and the Middle-East, where he managed consulting projects spanning from strategic planning, processes and organization, business performance and commercial turn-arounds to launching new businesses. 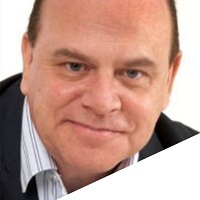 Richard Mosley is widely recognised as one of the leading world authorities on employer brand development and management. 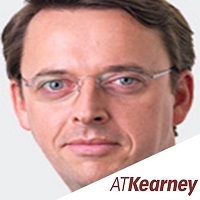 This has involved a significant focus on core values, employee engagement and culture change as well as the more externally focused dimensions of external reputation and talent attraction. 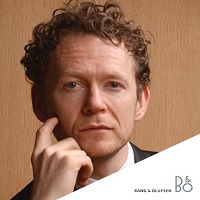 His first book, ‘The Employer Brand’, has become a global best-seller, and the sequel: ‘Employer Brand Management: Practical Lessons from the World’s Best Employers’ was published last year. David has been in the retail, commercial, residential and mixed-use real estate industry for over thirty years. 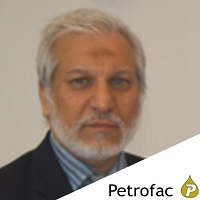 He has completed projects totalling in excess of USD $5.2 billion in Canada and the Middle East. 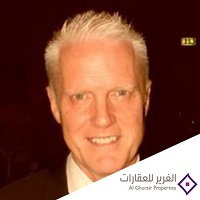 For the past nine years that David has been in the Gulf region, he has held senior executive positions in leasing, mall design, creation and implementation of merchandise mix, as well as analysis of project viability. Iconic retail projects with direct input include Dubai Festival City with Al Futtaim, Dubai Mall and other international shopping malls with Emaar. As Regional Director with Jones Lang LaSalle the retail team has provided development advisory and leasing in thirty five major retail environments in the UAE, Lebanon, Saudi, Egypt and Qatar. 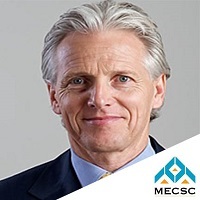 David is now CEO and Vice Chairman of the MECSC / ICSC for the MENA region. 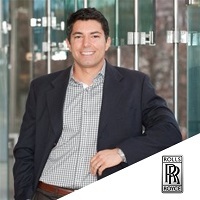 As a Canadian, David holds a Bachelor degree from the University of Calgary and Executive Real Estate courses from the University of British Columbia. David is Chairman of the Canadian Business Council in 2011, 2012 and 2013. 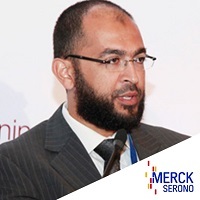 He is also a registered member of RERA in Dubai and the Vice President of the Middle East Council of Shopping Centres (MECSC) in 2011, 2012 and 2013. 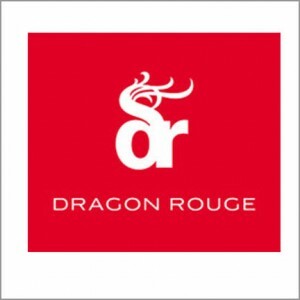 Prior to joining Dubai Duty Free, he was employed with Aer Rianta for 10 years (1990-2000) working in such locations as Dublin, Cork, Shannon, Moscow, Kuwait, Bahrain, Syria and Qatar. Sean is responsible for a team of 5,000 staff who handled a $ 1.8 billion turnover in 2013 as well as 70,000 sales transactions daily. 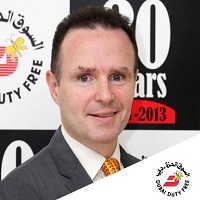 Sean is President of the Middle East and Africa Duty Free Association (MEADFA) and Chairman of the Dubai Irish Society. He is also President of Dubai Celts Gaelic Athletic Club. 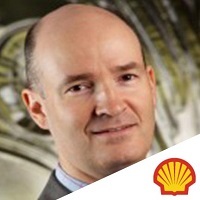 Richard became the General Manager Network Planning in August 2012 and is currently based at Shell’s London corporate office. 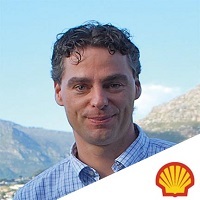 After joining Shell in 1996 Richard has worked internationally in Shell’s Aviation, Business Development, Marketing, Biofuels and Gas-To-Liquids businesses. He has worked in Europe, Asia and the Middle East. While based in the UAE he was the local lead for all activity across the Downstream. 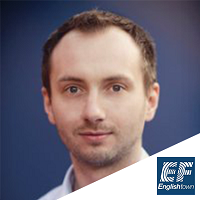 Richard was born in the UK and graduated from Bath University with a degree in Economics. He is married with two daughters, and outside of work his interests include sport and travel. Richard is also a keen advocate of sustainable development. He and his wife reforested 15 hectares in Mexico with 18,000 trees to ensure their family is carbon neutral. Head of Outsourcing Operations with 16 years post MBA experience in Senior Management roles; leading globally distributed teams in Retail and Information Technology Outsourcing, Strategy, Investment Consulting. 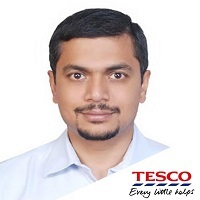 Leading Tesco’s Commercial (UK Food) &amp;amp;amp;amp; Marketing Services team, accountable to create and manage world class processes supporting the company’s ability to maximize its $51 billion revenue &amp;amp;amp;amp; margin potential. Wide ranging experience with setting up and running efficient, intensely customer &amp;amp;amp;amp; innovation focused, large voice call centre, back office processing, planning, MIS and analytics operations. Domain experience includes Retail, Supply Chain, Information Technology, Real Estate and Investments. 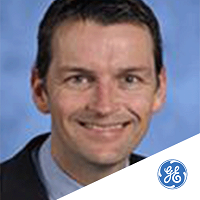 Willie is the GE Crotonville Leadership Regional Learning Leader for MENAT, based in Prestwick, Scotland. In his role Willie’s primary responsibility is to analyze the region learning needs and create overall learning strategy and operations to support region business goals. From September 2010 until January 2013 he was the GE Crotonville EMEA leadership skills program manager with responsibility for IEL, FOL and AMC in the region. He was also a member of the UK HR council. 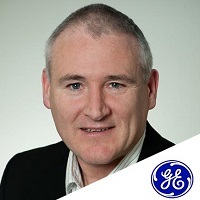 Between November 2006 and September 2010, he was GE Global Learning’s Commercial Program Manger EMEA. During this period Willie was responsible for integrating the sales and marketing training curricula and the introduction of CECOR to the region. He also delivered strategic customer training in the region, facilitated working with government initiatives, supported the Commercial Council’s, provided strategic facilitation and was a member of the European Services Council. 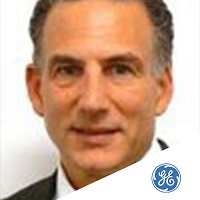 From 1985 to 2006 Willie was with GE Aircraft Engines in Prestwick, Scotland, where he most recently held the position of European Six Sigma MBB with responsibility for achieving strategic business goals and leveraging best practice across the European Aviation services portfolio. During this time he also held management positions in customer support (sales) where he oversaw an international portfolio of customers with the primary focus on growing the relationships. 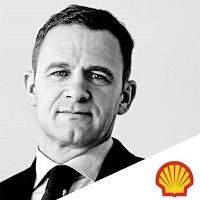 As Supply chain leader he led customer fulfilment and deflation initiatives. 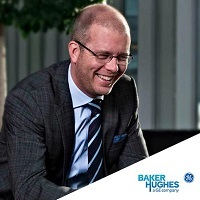 He received his Executive MBA from the University of the West of Scotland where he also gained a diploma in Production and Inventory Management. Marina Pochinok has graduated from Moscow State University with honors, has Ph.D. in applied mathematics. She is a certified PHR from Thunderbird School of Global Management. 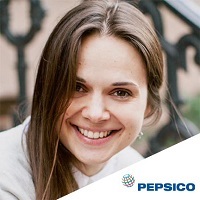 Marina has more than 15 years of working experience in Human Resources management both at leading Russia-based and foreign companies, such as TNK-BP, Philips and more. In 2008 Marina joined Organizing Committee of the XXII Olympic Winter Games and XI Paralympic Winter Games of 2014 in Sochi. 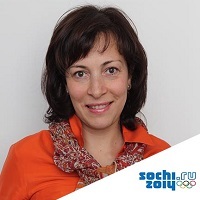 Her area of responsibility includes planning, sourcing, recruiting, training, motivation, integration and of 70 000 people (paid staff, volunteers, contractors and temporary staff) necessary for the successful Games delivery. Marina performs as a MBA Professor at Russian Presidential Academy of National Economy and Public Administration. She is a member of advisory panel for People Investor and National Staff Council. Marina has been awarded a medal “For Russia Science, Culture and Education Development”. Married. Has a son and two daughters. Hobbies – yoga, music and alpine skiing. 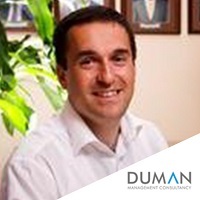 Stuart is a business-oriented Organisational Change professional with a multicultural perspective, having worked extensively in both developed and emerging markets. 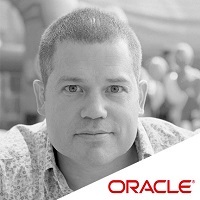 He worked for both Fujitsu and Levi Strauss in the UK before moving to Levi’s Brussels headquarters as an OD consultant. 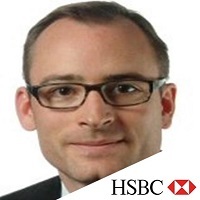 In the 10 years he had his own consulting business, Stuart led numerous leadership and organisational change engagements with organisations such as Deutsche Bank, Nokia, and Vodafone, and a five-year transformation effort with the International Finance Corporation in Washington DC. 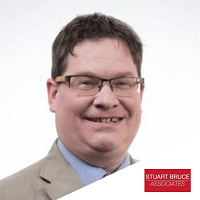 Stuart has a MSc in Organisational Consulting, a BSc in Mechanical Engineering and is now studying for a doctorate in Organisational Change. 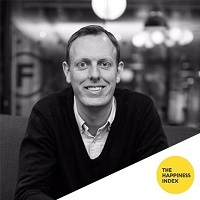 Adrian Gilpin is Chairman of the Institute of Human Development, author of bestselling book Unstoppable – The Pathway to Living an Inspired Life, and creator of Pathfinder – a subscription social learning web platform dedicated to the science behind creating a fearless enterprise culture. Adrian’s primary focus is on harnessing the power of social media and video to tap into the most ancient and potent form of communication: storytelling. The stories circulating in an organisation are contagious, and they prophesy the future. Great leaders actively inspire a different type of storytelling, and thereby create a different type of culture. IBM has cascaded this approach – using Pathfinder – to 15,000 people (and counting) around the globe with an unprecedented impact on the collective mindset, leading to breathtaking financial returns. 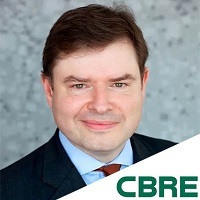 Many organisations – including IBM, Zurich, Deutsche Bank, Prudential Property Investment Managers, Barclaycard and the Commercial Bank of Kuwait – have retained Adrian to facilitate their Managing Directors and senior executives. Entrepreneurs work with Adrian to maximise the value of their enterprises; Adrian coached the board of Bookham Technology through the largest ever public floatation of any UK technology business, and mentored the owner of IRG Ltd during the lead up to the sale of his business to Capita for £100 million. Adrian works regularly within the public sector too, including the MOD, and all three armed forces. He is a mentor to the founders of a number of social enterprises. Geoff has had a great 23 years with Unilever. He spent the first 8 years working in various HR roles in South Africa, then transferred to London and worked across Africa, Middle East and Turkey for five years, absolutely fascinating. 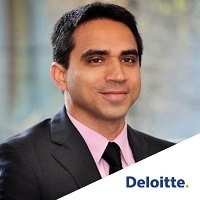 Thereafter He held the position of VP HR Unilever Australasia and spent two wonderful years in Sydney! 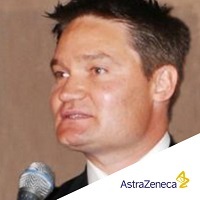 Geoff returned to the UK in 2005 as VP Leadership and Talent Development and in May 2007 was appointed Global VP HR HPC categories. 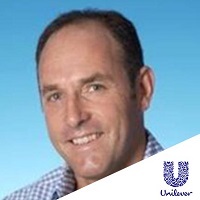 In this role Geoff played an active part in the transformation of Unilever’s Global Laundry business and in April of 2010 was appointed into the current role. 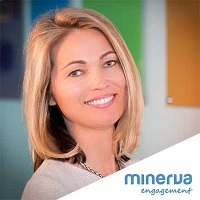 This role provides a real opportunity to integrate marketing, communications and sustainability bringing this central to the business strategy vs being a reputation enhancing activity. “I too am pioneering the role HR plays in making this central to the business and embeddiing it in the organisation”- says Geoff. Chidinma Lawanson holds a B.Sc. in Chemistry and a Post-Graduate Diploma in Computer Science in Nigeria. She started her career in 1991, working at financial services institutions before joining Diamond Bank Plc, in 1994. 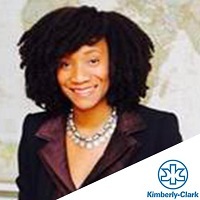 In 2008, she earned a Hubert H. Humphrey Fellowship Program, a Fulbright Scholarship Program in the U.S.A and a Post Graduate Diploma in Entrepreneurial Management in Boston University. She also had work experience at the Federal Reserve Bank in Boston, Massachusetts. In June 2009, Diamond Bank appointed Chidinma as the Head of Micro, Small &amp;amp; Medium Enterprises where she formed partnerships between Diamond Bank and international agencies (IFC, USAID and Women’s World Banking) in terms of product creation. 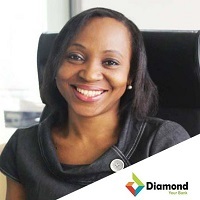 In February 2012, Diamond Bank appointed Chidinma as the Head of Human Capital Management with responsibilities covering the bank’s functions in Nigeria (with over 3,900 staff and 220 branches), West Africa and London. 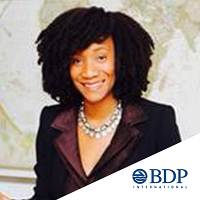 Frances Mensah Williams is the CEO of Interims for Development Ltd., an HR, Training and Coaching consultancy with a focus on Africa. 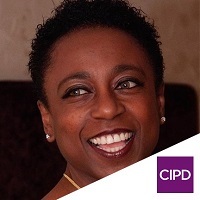 She is an experienced HR and Talent professional with over 25 years experience of managing and developing people in the UK and Africa across a diverse range of sectors. 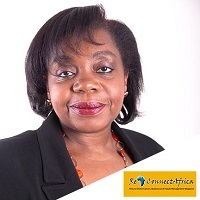 Frances is the Editor of ReConnect Africa.com, a leading careers and business portal and online magazine for professionals of African origin. She writes and speaks extensively on the subject of skills development for Africa and is the author of ‘Everyday Heroes: Learning from the Careers of Successful Black Professionals’ and her most recent publication, ‘I Want to Work in Africa’. 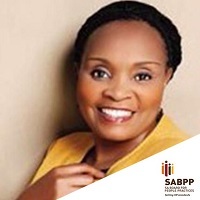 Kate is Deputy Chairperson of the SA Board for People Practices (SABPP), the HR quality assurance and professional body of South Africa. She has a Teacher’s Diploma, Human Resources Management Diploma, Training Management Diploma, and a Certificate in Occupational Development, ETD Practice and Labour Relations with the University of Pretoria and currently a participant in the Goldman Sachs-GIBS 10,000 Women Certificate Programme for Women Entrepreneurs. Kate is a businesswoman, trainer, facilitator, business partner and mentor. Kate is the chief facilitator of the new HR Service Delivery National Standard in South Africa, the first of its kind in the world. Kate spent 12 years in the Education and Training environment, and has more than 20 years in the fields of HR and Education and Training. 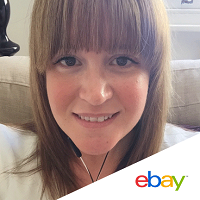 She has worked in the engineering, IT and Specialist Sales training sectors. Her strength is in empowering people from all walks of life and engaging them in transformative activities. She is a sought after public speaker and trainer/facilitator. She is also a Mentor and member for Business Women’s Association (BWA) and holds membership with the Chartered Institute for the Management of Assessment Practices (CIMAP). 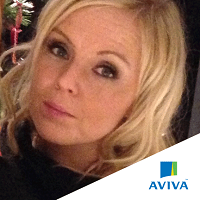 Kate says: “I am privileged to have worked with all levels of diverse groups of people. I believe in work-life effectiveness, ethical behavior at all time and giving excellent service”. 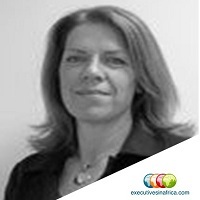 Sarah Fitzgerald is Managing Director at Executives in Africa, the largest Executive Search Team focused purely on Africa. She graduated from Oxford University then initially trained with Arthur Andersen before moving into Executive Recruitment in 1994 and specifically Emerging Markets Search in 2003. 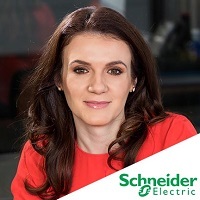 Having travelled extensively throughout Africa, Sarah took the opportunity in 2008 to focus purely on the African markets, and has since delivered searches across a range of functional and technical roles in a wide range of sectors across the continent. 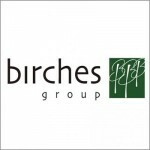 Warren is a Partner with Birches Group LLC, based in New York, a firm specializing in compensation and benefits surveys covering 148 high-growth and developing countries. 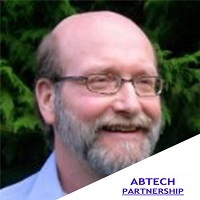 Warren leads the business development efforts for the firm, and manages the global collaboration between Birches Group and Aon Hewitt. 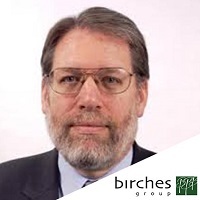 Prior to joining Birches in 2007, Warren had a long career at Colgate-Palmolive Company, with roles in US and international compensation and benefits. Warren began his HR career with Towers Perrin. 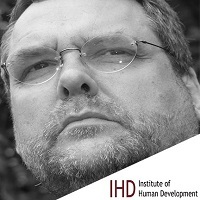 Warren is the editor of the International HR Forum Blog (http://www.internationalhrforum.com), which publishes articles of interest to the international human resources community. 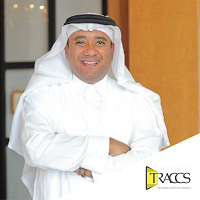 Tracy has extensive experience and knowledge in the Global Mobility field. 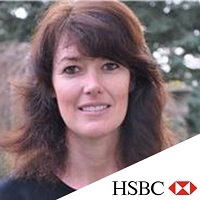 She has played an integral part in HSBC’s recent Global Mobility Transformation initiative which developed new global process, structure and systems. Before her career in Global Mobility and International Compensation Tracy was Compensations Manager for HSBC. 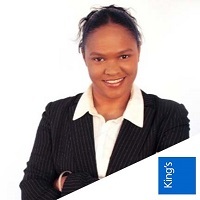 Karly is a commercially focused people and organisation development professional, with international experience in the public and private sectors, gained in the UK, US, Europe and Africa. Her approach is performance improvement through providing capacity building in effective leadership . 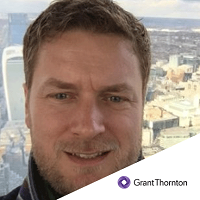 In a long career both as a consultant and in house senior exec, Tom Crawford has gained diverse and rich experience, in HR and specifically Internal Comms and Engagement. He also has a strong passion for the subject of brand and its relationship with employees. 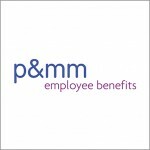 He has spent many years helping employees believe in their organisation and do their best for its brand. 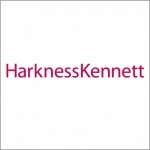 He was worked all over the world with leading brands including Deloitte, British Airways, Eon, GSK, Nokia and others. Tom set up The Brain Miner as he believes that everyone has fantastic ideas buried within them – they just need some help finding them, extracting them and then polishing them into shiny diamonds. 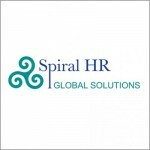 He is working with a number of well known global brands, helping them drive employee engagement with their brand. 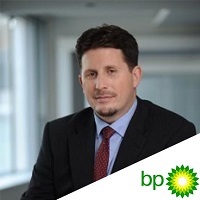 Paul was most recently Global Head of Internal Communications at BG Group where he led BG’s communications for the recent acquisition by Shell. 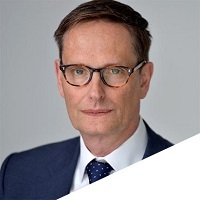 Prior to this, he was Global Head of Internal Communications for Philips based in Amsterdam and was Corporate Communications Director for Colt Group S.A. 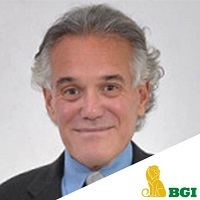 He was a Partner at Brunswick Group and created and led their Internal Communications Practice. He also led the Communications Practice at Hewitt Associates. 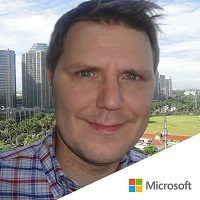 Paul has a wide range of international experience in digital communications and led the team which created one of the most successful global enterprise-wide social media platforms. 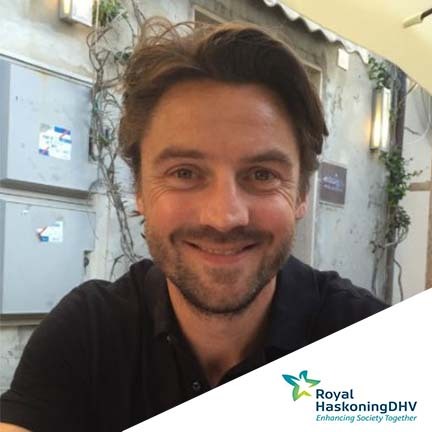 Paul has also created digital innovations in video and leadership communications which won the European Digital Excellence Award and Digital Company of the Year in the Netherlands. 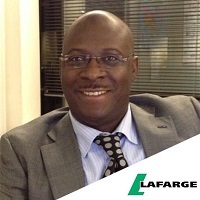 His also has experience in restructuring, M&amp;amp;amp;A and post-merger integration, change management and HR communications. 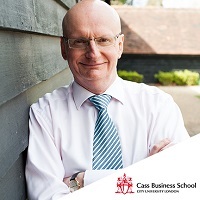 Paul’s early career was spent with NatWest Group where he was Speechwriter to the Chairman and Chief Executive and was responsible for developing leadership and employee communications for the RBS/NatWest acquisition process. 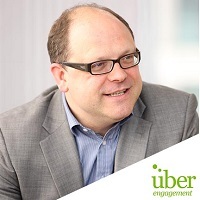 Having held senior in-house communications roles with Network Rail, BBC Sport and BNFL, Sean moved into consultancy in 2007, initially working for WPP before founding uber engagement. 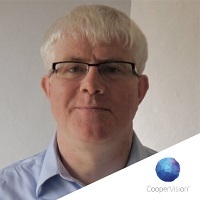 Passionate about shifting organisational culture by engaging employees in mission-critical issues like safety and customer focus, Sean has delivered successful projects for large blue-chip clients like Nissan, British Gas, Vodafone and Balfour Beatty. This passion led to the creation of Safe Places To Work, an organisation with the simple purpose of creating safer workplaces by enabling, engaging and encouraging employees to improve the safety culture in their place of work. 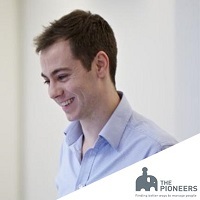 Sean has a BEng (Hons) in Electronic Engineering and an MSc in Project Management. A former board member of CIPR and current Chair of the Special Interest Group on Communications as part of the Engage For success movement. 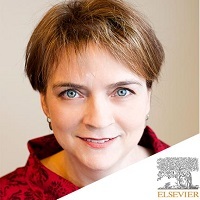 Liz came late to the formal profession of communications, but she has been bringing communications strategy to her career since her very first role as a scientific editor, helping researchers prepare their papers for publication. Through business development and project roles, she wove strategic communication into every facet of her work and developed a passion for employee engagement. 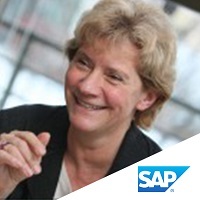 In her current role, Liz and her team help 7000 global employees connect, care and collaborate, through global news and video channels and a growing internal business partnership model that puts them in the thick of strategic planning. Liz is originally from St Louis, Missouri, USA, but after 22 years and endless cups of builders’ tea, she considers herself a Brit who just sounds American. 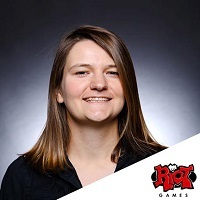 Nicola Piggott is a communications manager at Riot Games, an online game developer and publisher headquartered in California. She advises on internal communications strategy amongst Riot’s international offices as well managing external communications and media relations for Riot who produce League Of Legends, a competitive online game with over 32 million monthly players. 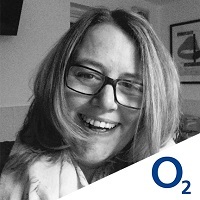 Prior to joining Riot, Nicola has worked as a communications professional for over ten years, including management roles at Hilton, Nestle and international PR agencies Hill &amp; Knowlton and Golin Harris. 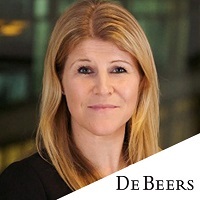 Emma Berry is a strategic Internal Communications professional with 12 years in-house corporate Internal Communications experience across three major corporations - Marks &amp; Spencer Plc, The Body Shop Plc and Pfizer Plc. 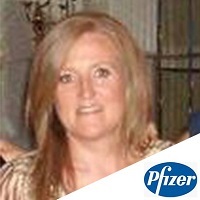 She joined U.S. pharmaceutical Pfizer in 2009 as Head of UK Internal Communications and is now the Director of Internal Communications for Europe, Africa and the Middle East. 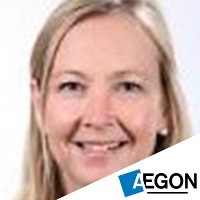 Emma is currently responsible for providing strategic counsel and guidance for Internal Communications across Europe, Africa and the Middle East working closely with Global and in-country communications colleagues as well as Regional Leaders. Her specialist skills include change management, channels management, presenter coaching, business writing and strategic communication planning. 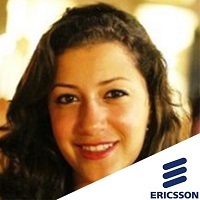 Nada Enan, an Egyptian currently living in Dubai, UAE, who is heading the Internal Communications function in Ericsson Region Middle East and North East Africa since 2010. For the past 10 years been working in the Communications field in different regions &amp; countries including; North Africa, Middle East, and Sweden. 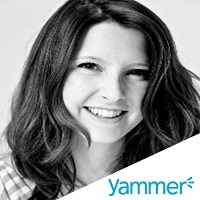 Emma Stephen is an Associate Customer Success Manager in Yammer Europe, Middle East &amp;amp; Africa (EMEA) and is responsible for helping organisations to get the most out of the opportunities that Yammer provides for improving internal communications and business effectiveness. 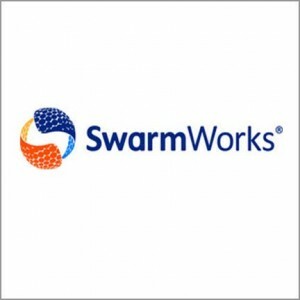 Customers can then realise the benefits of Enterprise Social Networking, encompassing elements of community collaboration, open and transparent culture and social learning. 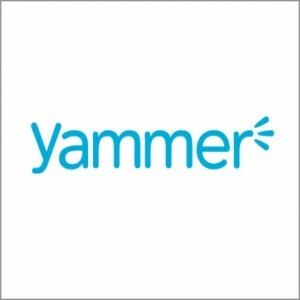 Before joining Yammer, Emma graduated in Psychology before working in a communications and sales role that took her to Spain, Mexico, Israel and Angola. 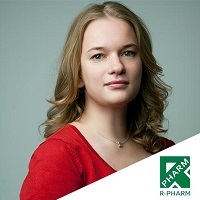 On return to the UK she joined MedTRACK, a leading online business intelligence service for the pharma industry. In a consultative sales role she supported companies in understanding how they could derive value from the information to achieve business objectives. 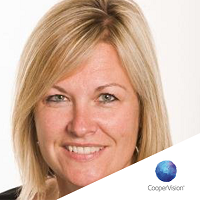 Di Burton is the managing director of Cicada Communications Limited. She advises at board level on leadership issues, staff engagement and reputation management. For 16 years she directed the MA in Public Communication programme for the Government Communication Network (GCN) at Leeds Trinity University College. A Fellow of the Chartered Institute of Personnel and Development, Di is also a Fellow of the Chartered Institute of Public Relations. 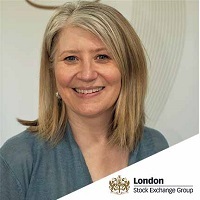 As an industry expert, Di has worked at 10 Downing Street and the Cabinet Office, and is a regular speaker at national conferences. 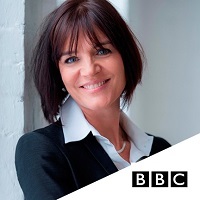 Di is a member of London’s Reform Club and Yorkshire’s Two Percent Club, and is listed in PR Week’s Power List of the most influential people in public relations. 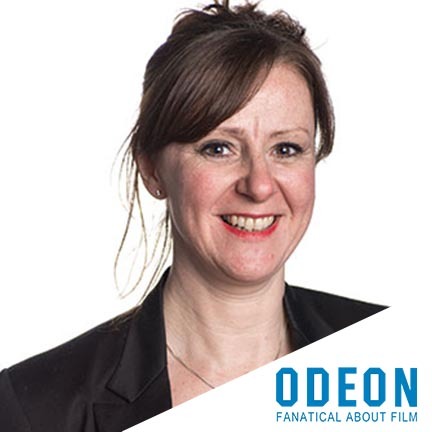 She has attended Harvard Business School, is a Yorkshire Patron, and a trustee of Harrogate Theatre. 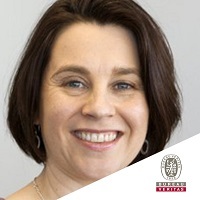 Katharina is an internationally recognised business communicator with proven delivery of effective global communication strategies and programmes, and has Lean Sigma qualifications for process and performance improvement. 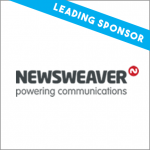 Previous roles include Head of Internal Communications & Engagement at ABB, Head of Employee & Executive Communications at Zurich Insurance, Head of Internal Communications at Rio Tinto, Head of Global Internal and Management Communications at Shell, Head of Global Internal Communications at AstraZeneca, Corporate Communications Lead at GE Capital EEF and Corporate Communications Manager at Corange/Boehringer Mannheim. 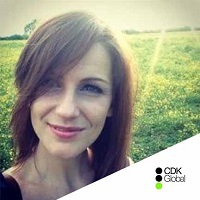 Katharina has worked in Nigeria, Hong Kong, the UK, the Netherlands, and Switzerland. James is a former journalist and editor who moved into internal communications at BAA over 10 years ago. Within four years he had gained wide-ranging communications experience in organisations with operational, highly unionised workforces during times of intense criticism from external press, industrial action, politically driven upheaval, takeover and even terrorist attack. 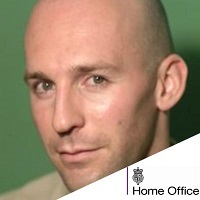 After some quieter contract work in internal comms, James moved back into a high-profile environment by joining the UK Border Agency. Recently, he has focused on measuring internal communications at the Home Office. 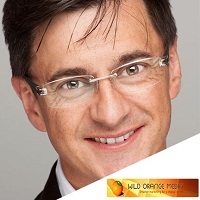 He is an accomplished presenter on TV and radio, and a regular speaker at conferences. 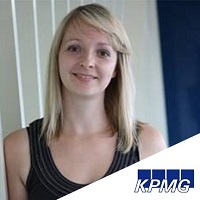 Having trained as a regulatory consultant at Deloitte, Joanna has worked at HSBC for the last ten years in a variety of business and functional roles, including four years working in wealth management roles in Jersey. 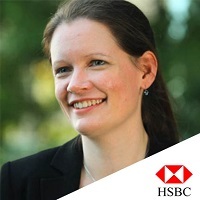 Joanna was appointed Chief Operating Officer for the newly created Global Communications function at HSBC in 2011. 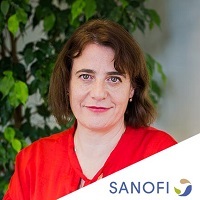 Working directly for the Global Co-Heads, Joanna has been instrumental in building the new function, with accountability for the people strategy, planning, budgets, operations and risk management for the 440-strong team. Joe leads our Corporate Brand and Communications team. He brings clear-sight, smart thinking and inexhaustible energy to complex projects and helps clients focus on the most effective route to achieve their goals. His passion lies in seeing great ideas take root at the heart of company culture. 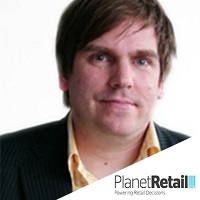 He has 15 years experience in brand strategy development and internal engagement for clients such as Rio Tinto, M&amp;S, InterContinental Hotels, The Department for Work and Pensions, ebay, Sony and B&amp;Q.
Philip has been a mobile technology influencer for over 8 years. 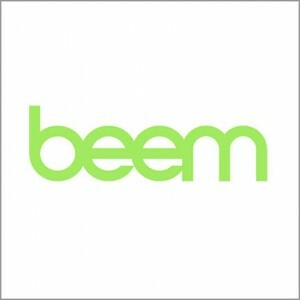 Prior to co-founding Beem he worked with many of the worlds largest companies to leverage the potential of mobile. 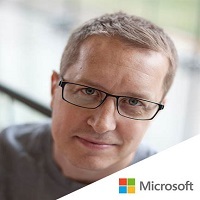 Responsible for 3 App Store number ones, and numerous critically acclaimed app developments his passion is the creation of mobile experiences that users love, and publishers derive maximum value from. 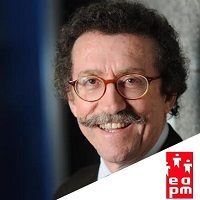 Izy BEHAR, 63, is President of the European Association for People Management (EAPM), which is the federation of the 30 national HR associations in Europe. 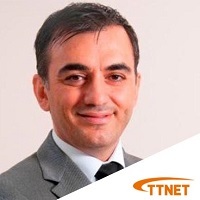 He has been Senior VP HR for Eutelsat Communications from 1999 to 2012, a telecommunication by satellite operator. 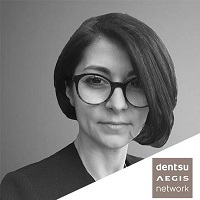 Before that, Izy BEHAR has been, for more than 10 years, HR Director of Crédit Commercial de France (now HSBC France) and before HR Manager for Japan Airlines in France. 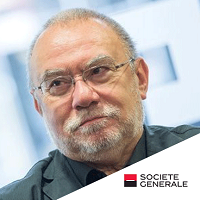 Izy BEHAR is board member of ANDRH (French national HR association) and Chief Editor of the monthly magazine “PERSONNEL”. Mrs. Derya Tekin Yusuf, after having completed faculty of business management in Marmara University, she continued her masters in business economy in Istanbul University. 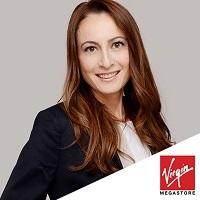 Derya Tekin Yusuf has worked in the aviation sector for many years in companies such as Turkish Airlines and Trans World Airlines. 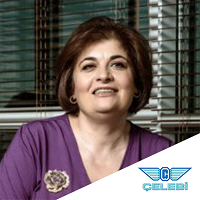 In 1993, she set up a training department with in Human Resources Departmant and became Training Director in Celebi Aviation Holding. 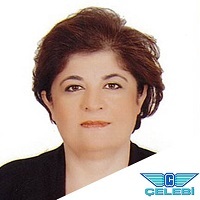 From 1999 until 2005 she was the director of human resources in Celebi Ground Handling and from 2005 until 2010 became director of human resources for Celebi Aviation Holding. Now she takes a role as the President of Human resources for Celebi Aviation Holding in Global. She is responsible for the management of all human resources for Celebi Group. Derya is also the President of the Airport Services Association’s HR Committee. A graduate of the University of Glasgow, Drew started his career in brand communications before moving increasingly into employee communications and then engagement. 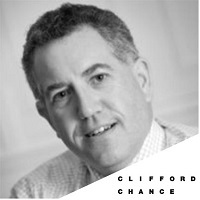 He has worked for medium, large and very large organisations in sectors as diverse as defence, energy, retail and government. Assignments based in the Middle and Far East, USA and Europe have given Drew insights to modes and norms of communication in different cultures. 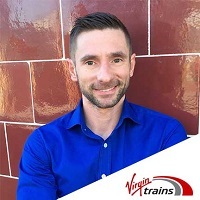 He is currently Head of Internal Communications &amp;amp;amp; Engagement for Virgin Trains, where he is responsible for leadership communication and communications-enabled organisational change. 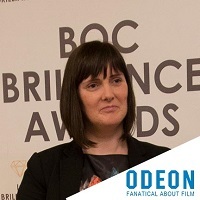 Lucy Adams, MD of Communications and Engagement Agency Firehouse and the Founder of Disruptive HR, shares her experiences of having led HR and Internal Communications at the BBC and other major corporations – the good, the bad and the ugly! 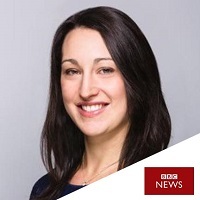 Since leaving the BBC Lucy has been working with major organisations to help them re-think their approach to leading change, employee engagement, HR and Internal Comms, and is a popular keynote speaker and blogger on these topics. 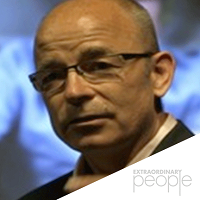 Howard Krais is an experienced change communications and employee engagement leader. 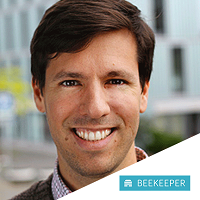 He recently started a new role at GSK where he is responsible for Executive Communications. 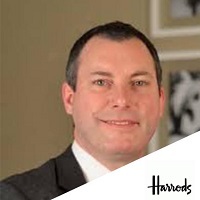 Howard has wide experience both in consultancy and senior in house roles with his previous role at EY where he led a large global change communications team responsible for providing support to a range of functions and global projects. In his spare time Howard is the Chairman of Wealdstone FC, a semi-professional football club who play at the sixth level of English football. 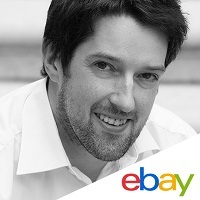 Ben is Head of Strategic Communications for eBay, leading campaigns and change communications for teams across Europe. His current focus is how businesses can better understand and shape their culture. Prior to eBay, he's worked for BT, Telefonica and he was responsible for global internal communications at Cable&Wireless. 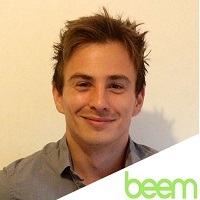 Ben is passionate about the use of data to help communications speak the language of the business and he is a member of UK Government's Cabinet Office Communications Evaluation Council. 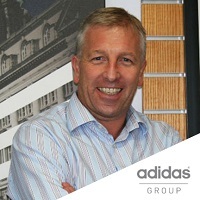 Tony Cooke was appointed as HR Director, adidas UK in 2001. 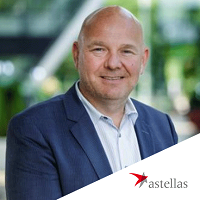 He has played a key role in the integration with Holland and Belgium, the acquisition of the Reebok business and more latterly the integration of the Nordics to create adidas North Europe. 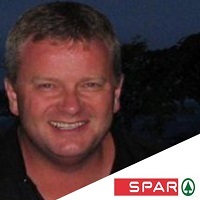 Prior to adidas UK, Tony spent over 10 years in senior HR roles with William Baird Plc, the clothing manufacturer, including 6 years as Divisional HR Director providing a HR service to businesses in Holland, Ireland and Sweden. Tony has an Advanced Post Graduate Diploma in Management Application and has attended a Director’s Development Programme at Insead. 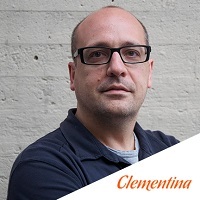 Josep Alcover is founder and chief vitaminizer in Clementina, a communications agency specializing in internal communications based in Barcelona. 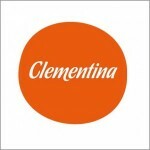 From Clementina he has vitaminized teams and projects in Ricoh, CaixaBank, Andbank and Hewlett Packard, among others. Josep is the son of a teacher and a journalist and he has studied business administration and management at the ESADE MBA. As PR &amp;amp;amp;amp; Communications manager for HP Barcelona site, Eva is responsible for the Site Communication and PR Plan for the site. Eva is also the Internal Communications manager for HP’s Large Format &amp;amp;amp;amp; 3D Printing acting as Executive Communicator for the two VP &amp;amp;amp;amp; GMs of the businesses. Eva implemented the first Internal Communications Plan of the HP Barcelona site in 1993. 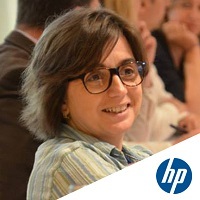 Within her current role, Eva manages several employee engagement activities such as the HP Barcelona Social Innovation Committee. 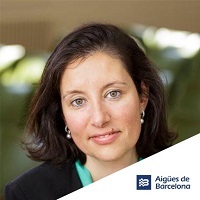 She is also a core member of the Barcelona Women Network. Eva is a native of Barcelona and holds a Tourism and Information degree and studies of Communications in the Enterprise by University of Barcelona. In a company of 81,000 employees spread over 5 continents and 70 business units, Holly is responsible for the content, messaging and functionality of all global internal communication channels. At the heart of the Internal Communication strategy is employee advocacy (transforming employees into your greatest ambassadors) and in the last 3 years Holly has redesigned and created, global channels to facilitate this. 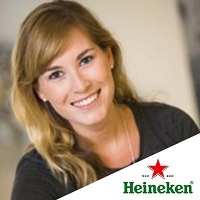 Before her role in Internal Communication, Holly worked in various Corporate Relations functions at HEINEKEN in 3 different countries and holds a Masters degree in History of Art &amp;amp; Spanish. 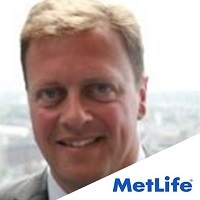 Jonathan joined MetLife as communications lead for EMEA in November 2012 and is a member of the regional executive. Jonathan provides strategic advice and counsel on all aspects of internal and external communications across MetLife's 26 EMEA markets. 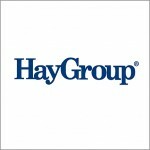 This includes media relations, employee &amp;amp;amp;amp; executive communications, CSR, social, product promotion, reputation management, crisis communications, M&amp;amp;amp;amp;A and communications related to the company’s public affairs activities. Previously, Jonathan led UK-insurer Aviva's European corporate affairs team across 13 markets building a highly-effective community of international communicators. 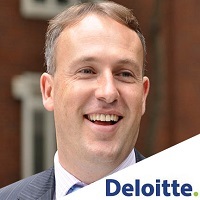 Jonathan was a key strategic adviser to senior management, dealing with internal and external stakeholders across all key corporate communications disciplines including leading Aviva's award-winning retirement savings thought-leadership campaign “Mind the Gap”. He also oversaw the launch of a single intranet across Aviva’s 13 European markets and delivered communications for Aviva Europe’s strategy refresh. 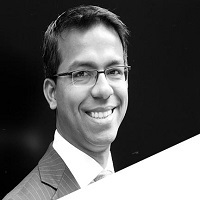 Jonathan, a former award-winning business journalist, has extensive cross-cultural, crisis and reputation management experience, particularly in Asia, the US and UK, having previously worked as PR Director for Prudential plc where a main focus was on building Prudential’s credentials as a player in Asia and as Director of Media Relations at the professional services firm PwC. Jonathan holds a B.A in Politics from Durham University, UK. 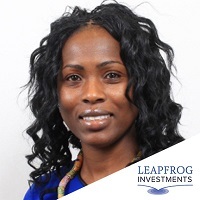 Akua leads HR strategy and implementation for LeapFrog Investments value-creation group. LeapFrog Investments is the world’s largest dedicated private equity investor in emerging markets financial services, and its value-creation group is focused on driving value in investee companies. Akua’s role sees her respond to the people needs of diverse companies at different stages of growth, and move flexibly between strategic plans and operational execution. Before LeapFrog, Akua gained experience across diverse industries including facilities management, I.T. and telecoms. She held various senior roles for Vodafone PLC, including Head of Diversity &amp; Inclusion for Vodafone Ghana and Senior HR Business Partner for Group Commercial and Group Enterprise. 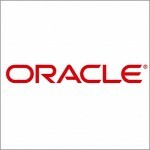 Akua successfully led business critical transformational programmes and diversity &amp; Inclusion agenda resulting in Vodafone’s Diversity and Inclusion award. Akua is also a graduate of Vodafone’s Global HR Excellence Programme. Akua holds a Bachelors of Science in Social Policy and Administration with Theology from Surrey University, a Masters in Human Resources Management from Middlesex University and is chartered member of the Chartered Institute of Personnel Development (MCIPD). 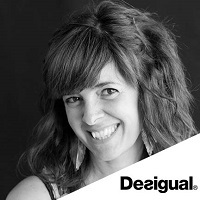 Kasha Dougall is a global communications professional. A British citizen, she is based in Paris where she has spent the last 20 years deploying global communication strategies in local markets around the world. Kasha has specialised in the industrial and engineering sectors during which she has learnt how to bridge the gap between cultures to ensure the success of international campaigns and events. Her skill set includes digital campaigns, thought leadership, external communications, media relations and event management. She started her career working for the advertising agency, TBWA, as a project manager for the Nissan Europe account in Paris. She has always worked in multicultural teams on both agency and client side. 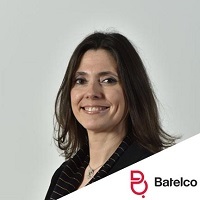 She took on the role of Corporate Communications Director at Faiveley Transport, an equipment supplier for the railway industry before managing Business Communication at Bureau Veritas, an industrial services provider. 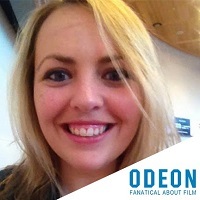 She holds a BA (Hons) in European Business from Oxford Brookes University and the ESC de la Rochelle and an MA in Internet Marketing & Communications from the Léonard de Vinci University, Paris. When she is not fussing about messaging, you can find her at the opera and the ballet or networking with like minded internationals. 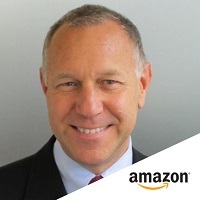 Currently working as an internal Communications Manager at Amazon, Tom X. Scott is a professional with over 20 years of experience in strategic corporate communications in an international environment. His scope includes public relations, employee and marketing communications. His main competencies are in planning and executing strategic communication initiatives; creating and executing media relations and B2B marketing communications plans; integrating employees new to an organization through acquisitions, restructuring or hiring; using communication to ensure change management programs are successful; and running effective employee communication programs as tools for employee motivation and engagement. 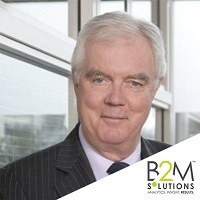 Tom’s global and broad experience has given him the capacity not only to create and develop integrated and strategic communication plans but also to ensure the execution of the plans. In addition, his personal core skills of empathy, authentic listening and building relationships have allowed him to hone the corporate communication competencies necessary to effectively inform, influence and inspire stakeholders. Marit Imeland-Gjesme, a Norwegian by origin and with work bases alternating from Oslo, Copenhagen and Zurich, is an experienced leadership trainer and coach. 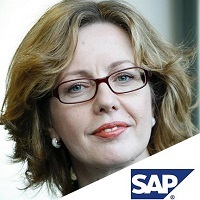 Having trained people from over 100 cultures, she supports companies, teams and executives to improve their cultural agility, cross-cultural cooperation and international success. Educated in psychology and cultures, and with a 25 years long career in both academia and business, she now provides cross-cultural training services, team building and advice across industries and business areas, for global companies or companies aspiring to become more international. A key area is supporting mergers and acquisitions in bridging people and cultural gaps both regarding national and organizational cultures, and optimize preparations, processes and outcomes. 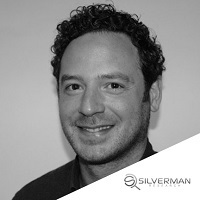 Michael Silverman is Managing Director of Silverman Research. 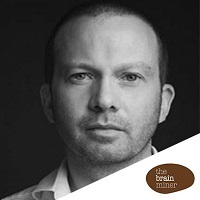 He is a psychologist and opinion research specialist, with a focus on social collective intelligence. 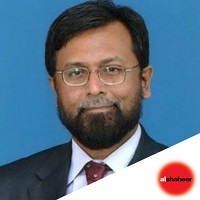 He has worked in academia and commercial research as well as working in-house at Unilever as Head of Employee Insight before setting up the company in 2010. 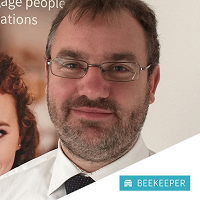 Michael will be facilitating the session on 'A different proposition: Collective intelligence in organisations', he will cover challenges to overcome in designing and using collective intelligence tools in an organisational context. 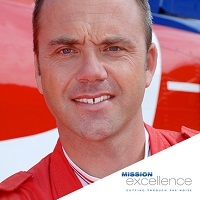 David is currently the Head of the Culture &amp;amp;amp; Engagement Centre of Expertise, where he works closely with the Group’s Senior Executive team to identify and develop strategic interventions which support the Group’s vision and strategy and drive organisational performance. 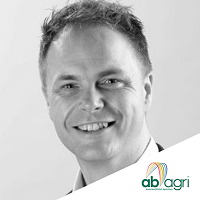 David has 15 years’ experience as an innovative and highly effective leader with a strong track record of delivering results in a multi-branded, multi-channel organisation. 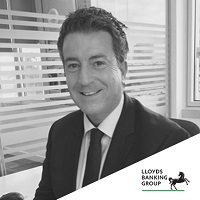 He has led the Group’s transformational approach to Engagement since the merger between Lloyds TSB and HBOS in 2009. During this time, he designed and implemented a new engagement strategy for the Group, enabling leaders and line managers to build engagement and drive performance in the workplace. 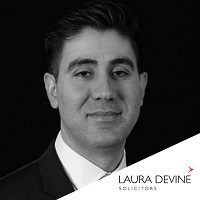 David is a passionate and energetic leader, who enjoys working with senior leaders and line managers on all matters of culture and engagement and has experience of working with teams in the UK, Europe and US. 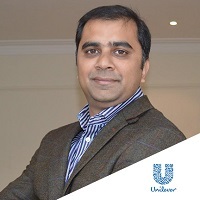 Sumeet Verma is Global HR Director at Unilever. 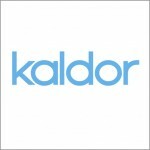 He currently works in the HR expertise space focusing on Performance Management and Employee Insights. 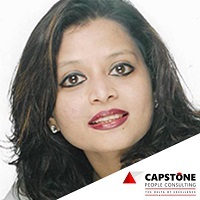 Over the 10+ years in HR, Sumeet has worked on various business partnering and expertise roles covering rewards, talent management, engagement and restructuring. 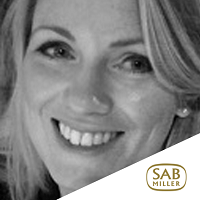 Laura is Group Head of Internal Communications at SABMiller the world’s second largest brewer that owns and nurtures brands including Peroni, Grolsch, Meantime and Pilsner Urquell. Laura has over 14 years’ experience of leading and delivering successful communications, cultural change and functional development programmes in complex global organisations. 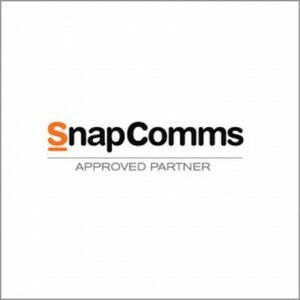 Marks and Spencer, RBS and American Express and headed Internal Communications at Grant Thornton. Laura began her career at Barclays as a graduate trainee working across the retail, wealth and international businesses focused on operating model design and engagement programmes. 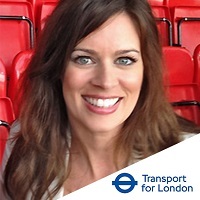 Laura areas of specialism include: communications strategy, M&amp;amp;A communications, digital, functional development, global and cultural engagement programmes. Gatehouse co-founder Lee Smith has spent more than half his life in the communication business – a career that has spanned both internal and external communication disciplines and in-house and agency roles. 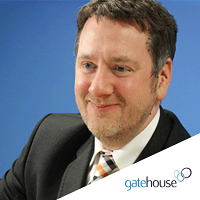 Prior to establishing Gatehouse a decade ago, Lee held senior positions with some of the UK’s leading financial and professional services organisations. 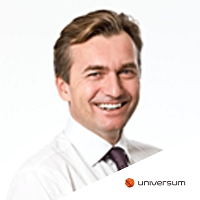 Today he runs the go-to internal communication agency, helping world class organisations, leaders and managers inform, inspire and engage their people. 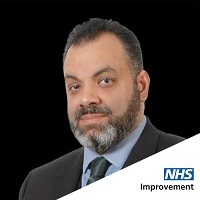 He is a Fellow of the Chartered Institute of Public Relations (FCIPR), a former chair of CIPR Inside, a visiting lecturer at Wolverhampton University and Trinity &amp;amp; All Saints, and a regular judge on number of the major industry awards programmes. He holds an MSc in Corporate Communication &amp;amp; Reputation Management. 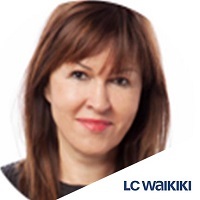 Lee has been active in promoting the development of internal communication skills and practice through the CIPR and IoIC and, as part of a small team, developed the definitive competency model for the profession. 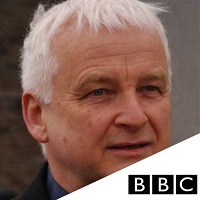 He also created the IoIC Accelerate masterclass programme and remains actively involved in learning delivery. 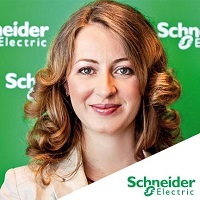 Simona began her career in Schneider Electric 7 years ago, after having worked in communications training. She has held several positions in internal communication, first working on country communication strategy definition and deployment and then moving on to global roles. 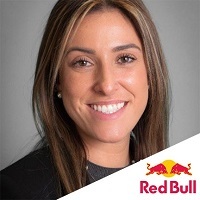 She has now leads the Leadership &amp;amp;amp;amp; Employee Communications and Internal Communications Business Partnership Hub; where she holds responsibility of content and channels used to target the wide internal audience of Schneider – all employee, all managers – as well as of global projects and campaigns. 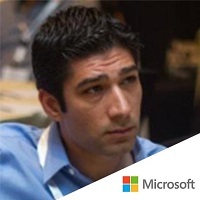 Mossy is Newsweaver’s chief product strategist, and manages the company’s product direction and roadmap. 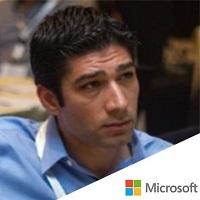 He has worked for over ten years helping organizations use technology to better engage with their audiences, and now spends most of his time wondering how technology can be used to better communicate, engage and empower employees. He is passionate about the power of technology to transform and enrich our lives, which is another way of saying he’s a bit of a geek! A recent survey by Sequel Group indicated that 78% of internal communicators believe their role is of a strategic importance that benefits the company’s employees, improves morale and generates greater trust between managers and workers. We believe that better internal communications leads to improved employee engagement and ultimately better company performance. The problem is, in an increasingly data-driven world, how do we prove this? Measurement. Better measurement would provide insight to improve results, drive change and prove the impact of internal comms. Better data enables communicators to influence senior management, and gain the credibility to secure greater resources. If better measurement can do all of this, why isn’t everyone doing it? Because the path is strewn with obstacles. In his session, Mossy highlights how Communicators can tackle these problems, and change the impact and perception of the value of internal communications. 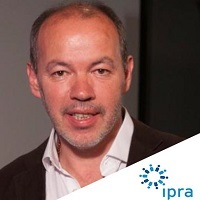 Jean-Paul Chapon is the Director of the Digital Communications &amp;amp; e-Reputation department at Société Générale, in charge of the Group’s e-Reputation and social media and web strategy. 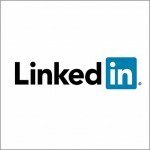 He also leads the deployment of the Group’s internal social network and intranets. Previously he worked for different companies in the telecommunications sector, where he has been responsible for the reorganisation of internal online tools, designed to take advantage of all Web 2.0 resources. 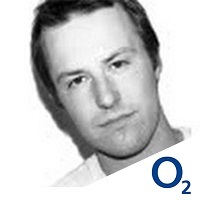 Jean-Paul Chapon started his career in media relations, in charge of Alcatel press office for several years. He is also the author of „Paris est sa Banlieue“, a popular blog on the complex relationship between city and suburbs. How do you increase engagement with your organisational purpose and strategy? In December 2012 EY launched their new purpose and Vision 2020 strategy. Just over three years later there is an impressive story to tell. The EY UK and Ireland Communications &amp; Engagement team play a lead role in advising and supporting the UK Chairman and his team to bring the purpose and strategy to life. In recognition of the effectiveness of the successful use of innovative and creative new approaches to supporting leaders to engage with their stakeholders, the team were awarded EY’s prestigious ‘Better begins with you’ overall winner award for innovation in 2015. 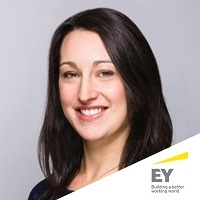 Julia is Head of Communications &amp;amp; Engagement for EY UK and Ireland; EY are a global professional services organisation, the fastest growing of the ‘Big Four’ Accountancy firms in the UK and the leading professional services organisation in the Sunday Times Best Big Companies listing. 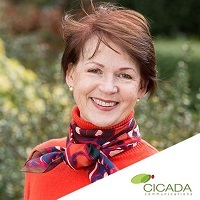 Julia has over 15 years’ experience leading and delivering successful communication, engagement, brand, marketing, culture and behavioural change programmes in complex private and public sector organisations. 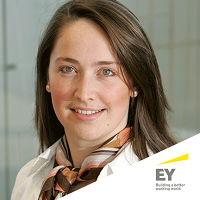 Julia is an experienced trainer and facilitator and regularly leads sessions for EY Partners and people across their EMEIA area. EY recently won a special award for Innovation in engagement practice at the Sunday Times Best Companies awards. 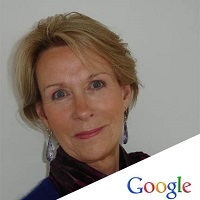 Caroline S. Henne - Google &amp;amp;amp; YouTube's Lead for the Luxury Sector - has over a decade of digital marketing experience. She started her career in the television industry at Germany's biggest private broadcaster RTL, but soon discovered her passion for the digital space. Kickstarting her own digital transformation at Lycos Europe in London, she soon executed those digital transformations for large corporations across the globe as a consultant on marketing mix optimisation from Luxury to CPG and Technology clients at market research giant GfK, before arriving at her current destination, Google UK, two years ago. Caroline Henne holds a Bachelor of International Management for Media and is a regular speaker at events across the globe, be it IAB Conferences or other digital, marketing, market research or related events. Caroline will be speaking at the Cutting Edge Marketing and PR Conference, with her topic: "Creating a digital video strategy - YouTube Best Practices"
Did you know that YouTube is the second largest search engine, with more searches than Bing, Yahoo!, and AOL combined? Despite YouTube’s precedence as a content discovery engine, many marketers fail to leverage the platform. 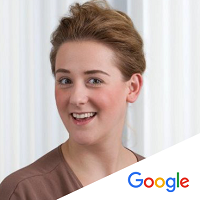 Caroline S. Henne, Sector Lead Luxury at Google UK, will share some best practices to help you make the most of this most viable video channel! Alex Shebar is a former reporter turned community manager and legendary rock star, but without any of the money, fame or musical talent. 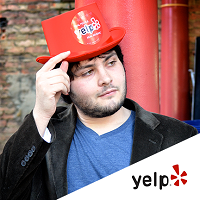 He is Yelp’s London first Community Director. This job often includes eating and drinking around London, which is tough, but someone’s got to do it. He thinks he’s the man for the job. I will talk about marketing "around a group of people" rather than "towards a group of people." And what I mean by that is first figuring out who this target audience is and what they want. Too many marketing campaigns start and end with the product: We are this. We do this. You should buy us. But it doesn't relate at all to the person who might be buying it and give them any reason to care. Today's world is no longer just about the function or convenience of a product, but how does it fit into a person's daily life. If you can give them a reason to want to buy, to want to talk about it on social media, to feel like their life is enhanced by buying the product or joining in, then they will. And that's personalised marketing. I'll explain this using real work examples and real world takeaways that can be implemented into anyone's strategies. Plus, a slew of pop-culture references to keep things interesting. 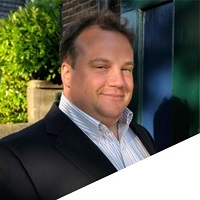 MIKE KLEIN is an internal communication consultant based in Delft in the Netherlands. 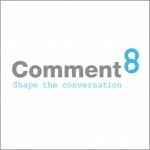 Mike is Principal of Changing The Terms, a blog and consulting practice focusing on strategic content, selective engagement and sense-making. 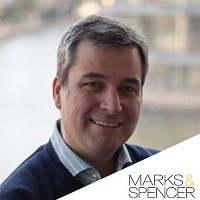 Mike has been active in the profession as a writer, consultant and strategist since discovering internal communications as an MBA student at London Business School in the 1990's. 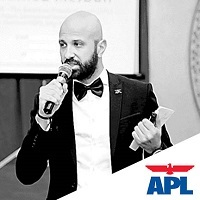 A dual US and British citizen, Mike has managed more than 20 political campaigns across the US and has focused much of his extensive writing on the application of political communication principles in a corporate context. 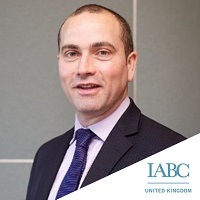 He serves as regional treasurer for IABC in Europe, Middle East and North Africa. Tony works hard to provide a consultative, human approach to nurturing a business’s most important asset – its people. Believing that at its core workplace happiness is based on an open and honest approach, Tony loves nothing more than helping organisations utilise technology to increase their client and staff retention rates. 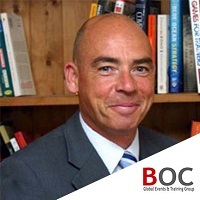 With 13 years’ experience of growing companies (including IPC Media and AXA), working in new business acquisition and managing teams, Tony learnt early about the importance of listening to and acting upon the feedback from his team/clients in order to effectively increase productivity and ultimately revenue. Tom’s international perspective combined with direct sales, services and marketing leadership experience and a deep understanding of Cision's market and products play an integral role in creating the ultimate technology to power its client's stories. 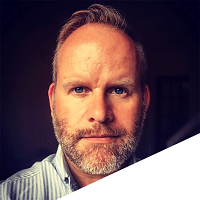 Tom joined Cision, the media intelligence business, in 2002 and has spent eight years in various roles including leading the UK's customer services and Sales divisions & European Product Development organisation. 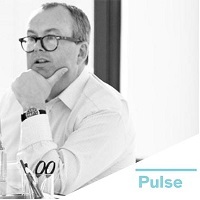 He became Managing Director of the Cision UK business in 2012. 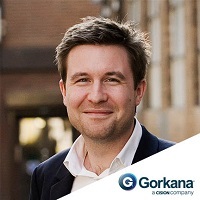 After the acquisition of Gorkana, Tom returned to the UK to focus on driving the European product roadmap and focus on evolving Cision's Analysis and Monitoring services and now sits on the European executive team. 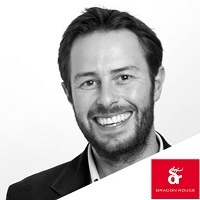 David is an award-winning crisis and corporate communications consultant with over 15 years’ international experience in a variety of sectors, both in-house and agency. 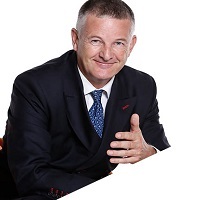 Having devised and executed a number of high profile global brand and PR strategies across Europe, the Gulf and Asia Pacific, David’s clients and employers have included market-leading corporate, consumer, technology, and professional services organisations. 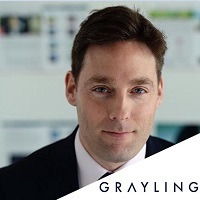 David currently leads Grayling’s UK corporate team, which acts as the global hub for a number of clients including Hilton Worldwide, The Economist Intelligence Unit and World Energy Congress. 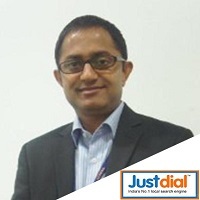 Sanjoy has over 21 years’ experience of leading internal and change communications for major global companies. Amongst these are Fortune 500 companies such as Reckitt Benckiser, HSBC, Coca-Cola European Partners, Philips Electronics and Teva Pharmaceuticals. Most recently he was Brexit Communications lead for international insurance company Hiscox plc. 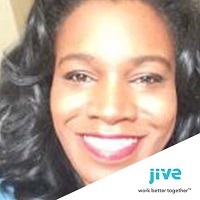 Wendy Williams, MS is a Senior Project Manager on the Jive Professional Services team successfully launching new Jive communities and delivering customizations for clients globally. Wendy has over 20 years of IT experience with industries ranging from manufacturing, retail and finance to software development, telecommunications and lumber trading. Her vast IT experience coupled with her education in positive psychology enables her to understand a client's needs, spoken and unspoken, with a keen insight on how to translate those needs into practical and workable technical solutions. 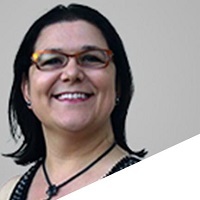 Wendy has worked with the following Jive customers: Bank of America, Goldman Sachs, Deutsche Bank, Group M, SAP, Discover Financial, Banco Itau, Alcatel-Lucent, eBay-PayPal, GE Healthcare, Hewlett Packard, Hitachi, World Bank and many others. 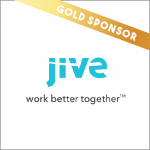 Prior to joining Jive Software, Wendy worked for a number of corporations including Nike, Columbia Sportswear, Jacada, Weyerhaeuser and ADC Telecommunications. She earned a Master of Science degree in Counseling Psychology from the University of Kansas in Lawrence, KS. Laura Storey likes good communication. She’s quite good at it herself. Bad communication makes Laura sad, just like it does to other people - a misread text message, a comment taken out of context, an unopened email, its destiny unrealised. 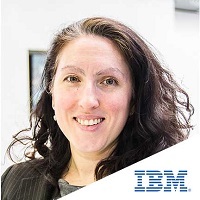 Leading IBM UK’s Workforce Enablement team, Laura looks at how corporate communications can work better across a range of platforms for the communicator and their audience alike – how comms can engage employees, drive knowledge and social business, and help people have fun. Because, after all, communication is all about people. And having fun is, well, fun. When she’s not being good at communicating, she’s juggling her three kids (not literally) and the Chair of Governors role at her local infant school. She also sings. But she’s not as good at that just yet. 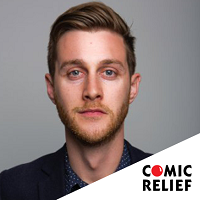 Den looks after the internal communications and responsible business teams at Virgin Trains, and is the communications director of SicKids, a children's health charity operating projects in the UK and Cambodia. 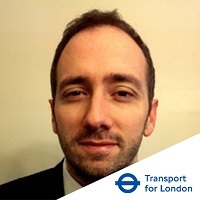 His background is with dispersed teams in transport companies and charities, having worked in the UK, Canada, France and Africa. 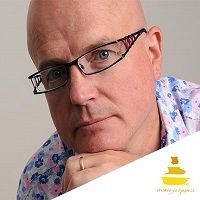 He specialises in creating compelling communications interventions and guiding leaders and professionals in the most effective way to land messages in a clear, to-the-point way. When not focusing on his communications roles, you're most likely to find him obsessively travelling the globe, on his yoga mat, or both! Richard Donovan leads the Internal Communications and Corporate Responsibility agenda for Experian in the UK&amp;I. 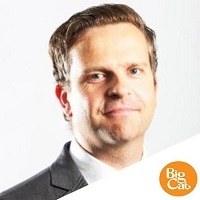 Prior to joining Experian Richard led IC teams at Capital One and Citi and held a range of communication and brand roles during an eight-year stint at Egg. 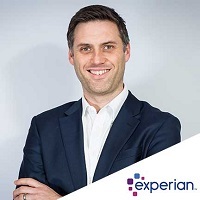 In the last five years at Experian, his IC team has won a range of awards, including the IOIC in-house team of the year at their national ceremony in 2014. Graduated in Communication Sciences at the Autonomous University of Barcelona (UAB), master in International Relations at CIDOB and business administration at EADA. 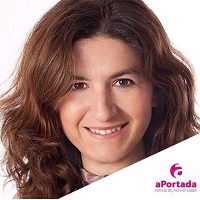 Before founding aPortada in 2000, she worked in media and held the position of Communications Director at the José Carreras Foundation. Over 20 years work experience in the field of corporate communications, communications training, public relations, social responsibility and cultural management. Leading the new culture values and corporate purpose process, change management and crisis strategist, ‘asking-why-and-what-for’ specialist. Truly social media lover, techie by adoption, X generation’s apathy hater, trying hard to understand millennials mindset. 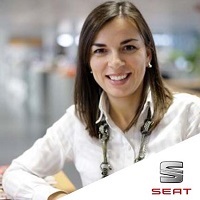 Having obtained a Degree in Communication Sciences, a Master’s Degree in Corporate Communications and postgraduate studies in Managing Development, she joined “la Caixa” in 2001 as a Channels Manager, a role she combined with Events Manager, until 2013, when she was appointed Internal Communications Manager. 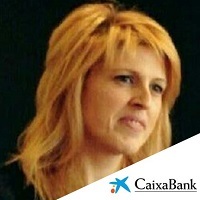 Later, in 2016, she gained promotion to Director of the Department of Internal Communications, located in the Human Resources General Directorate, where CaixaBank’s Internal Communications corporate policy is managed, in a bank with nearly 30,000 professionals, 14 Territorial Divisions and a branch network of 5,000 offices all over Spain. Shereen is the Head of HR for Caffè Nero, responsible for UK store and head office operations for just under 5,000 employees. Used to occupying both generalist and specialist roles, she has a range of HR knowledge gained from working in a variety of industries - international risk management, publishing, retail and hospitality and has a BA (Hons) Business with Psychology degree and MSc in International HR tucked away nicely in her back pocket. 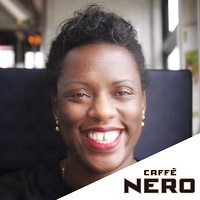 Whilst she is not a coffee drinker (Caffè Nero have embraced her anyway), her key interests are continuing to explore how passion and purpose can be melded seamlessly into the world of work so there is less distinction between work and life. She is also the Founder of Achibé – a collective that supports people to realise their potential through confidence coaching and providing them with colourful coaching cards to support their journey. 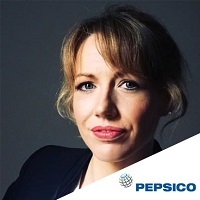 Director, Change, Culture & Engagement at ESSA, PepsiCo, Inc.
Jemima oversees delivering Sector Culture &amp; Engagement agenda plus HR communications framework, including infrastructure builds e.g. building film and design resource for Business Units. She is a creative developer of multi-region strategic communications programs with twelve years' experience working both agency side and in-house for global consumer and digital brands, plus FMCG (prior to PepsiCo: Starbucks, Colgate-Palmolive, eHarmony.co.uk, Zoolpa.co.uk), alongside 2 years in national media at Daily Mail Group Trust. With a degree in anthropology, Annabel began her career as a lumberjack’s assistant before becoming a ski guide and then a sailing instructor. She then joined the marketing team at Gulf Air, promoting the Gulf States as a tourism destination at the time of the first Gulf War. Annabel then joined Le Fevre Communications and cut her teeth on consumer and corporate clients handling PR campaigns for Anchor Foods, NatWest and BT. 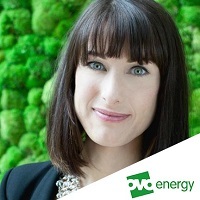 Annabel then became a TV presenter fronting The Biz on Six TV, the first regional TV station interviewing CEOs on the challenges and opportunities of doing business in Oxfordshire. 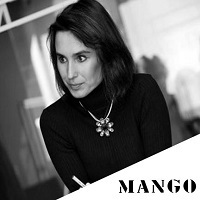 In 2003 Annabel joined 3 Monkeys Communications and appointed MD three years later, overseeing growth of the award-winning top 50 PR consultancy to £7.1m revenues with 75 consultants. 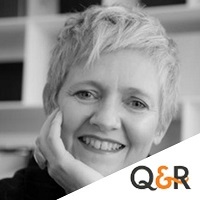 Annabel left the PR jungle launching Question & Retain (Q&R) - the Pulse Check company - in 2012 - measuring and managing the employee experience, client and membership satisfaction. Annabel has been a judge for PR Week and PRCA Awards and most recently for the UK Employee Experience Awards 2018. Press, PZ Cussons, Boots, Sainsbury’s, Fullers, Capita, Google, Sainsbury’s Trust, Heineken, Lynx, Johnson&Johnson, Red Bull, and Lynx. <strong>Preeti Khattri </strong> has 20 years of expertise in the communication industry, working with various Fortune 500 companies. She has been an international judge for IABC, Brandon Hall Awards and the Media Communication Association International. Preeti has helped her organizations win 68 international awards for excellence in communication and learning from Brandon Hall, USDLA, MCAI, Omni Intermedia and IABC. 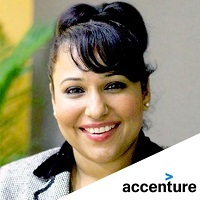 Khattri is currently the Global Nextgen Communications Lead in Accenture Capability Network. 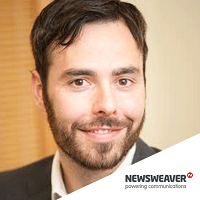 Nicholas has over a dozen years’ internal comms experience, both in the UK and in the Middle East. 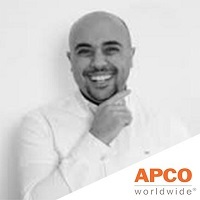 He’s worked in the public and private sector, and for for a major international retailer, Alshaya Retail Co. One of his IC campaigns at Alshaya won an Institute of InternalCommunications award.